Why not get away and enjoy some Beautiful Sunshine. Choose between the Local Beaches, Great Shopping Centres, Historic Towns and Villages, Bustling Plazas or Beautiful Golf Courses. .
Casa de Mendes brings you a fantastic choice of private holiday rentals, whether you want a villa with a southerly facing private pool or a town house on the frontline of a Polaris 5* Jack Nicklaus golf course. Casa de Mendes is able to offer you a holiday for everyone – with a choice of fantastic beaches, cultural cities and monuments, shopping, golf, water sports, cycling, tennis, markets, horse riding, eating out or eating in, exploring the local country side or just taking time to relax. It’s your holiday – you choose. With over 300 sunny days a year averaging 22 degrees celcius Murcia is one of Spains sunniest regions. The villas are situated between the Carrascoy Mountain Range near the City of Murcia and the beaches of Costa Calida or "warm coast" on the Mediterranean Sea. 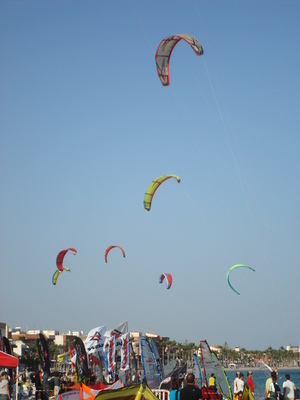 You can enjoy the clear waters and clean sands on the Mar Menor or "inland sea". You will find a diversity of historic, artistic and cultural settings in close proximity to the townhouse and villa. Please use our Contact Us page for availability and pricing. 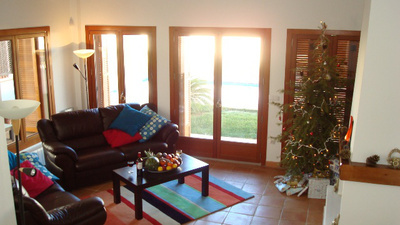 El Valle 3 Bedroom Luxury Villa with Private Pool. 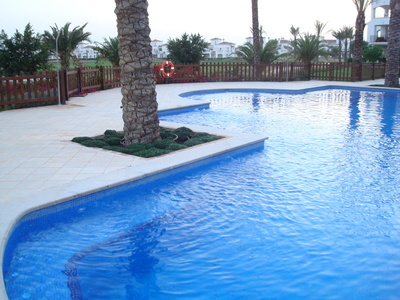 La Torre 2 Bedroom Townhouse. Gattos Web Design site Development.